The bouquets below all contain magical wisps of Gyp flowers for next day delivery anywhere in the UK. Gypsophila – also known as gyp or baby's breath – flowers grow in almost leafless sprays. 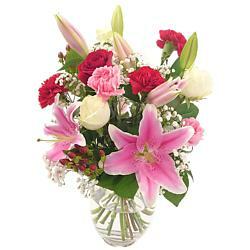 Light and airy, the stems wind in between neighbouring flowers, entwining their stems together like lovers' hearts. When placed in a bouquet, these dainty flowery bursts have a mystifying effect.Like flecks of spray skimming-off a storm-tossed wave, delicate burst of Gyp have a light, dancing feel. A bouquet wound around with sprigs of gyp takes on a magical, fairy-story feel. Gypsophila flowers are native to the USA and Canada. As well as being known as Gyp for shorthand, Gypsophila is also sometimes referred to as soap wart. It's most commonly found in white although less common pink and yellow versions exist too. 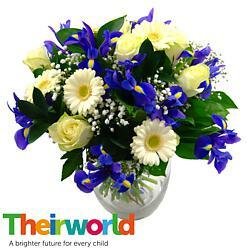 Gypsopihla is thought to represent purity and innocence in the language of flowers. 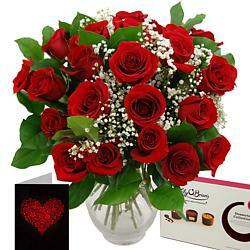 Gypsophila tend to be used in addition with other flowers when creating a bouquet such as roses. The refreshing white of the petals offers a lovely finishing touch to complement other colours within a bouquet's colour palette. 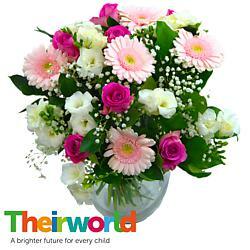 As is the case with many flower names, Gypsophila's name is derived from the Greek language. 'Gypsos' means gypsum, or calcium sulphate, whilst 'philos' means name. 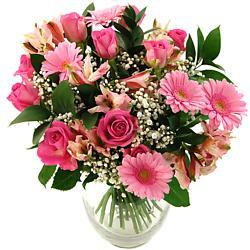 Gypsophila flowers are so called owing to their being partial to soil which has a high calcium content. 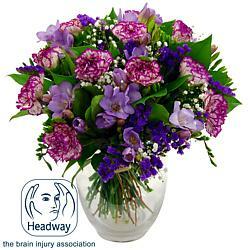 Here's another bit of trivia which may surprise you - the gypsophila is actually a distant relative of the carnation. Sending a bouquet of flowers with gypsophila is a great gift idea for any occasion, whether it's as a congratulations gift to celebrate a new baby or as a romantic gift on an anniversary or similar special day. Gypsophila are popular in wedding ceremonies as they represent fidelity and the purity of a romantic bond between two people. 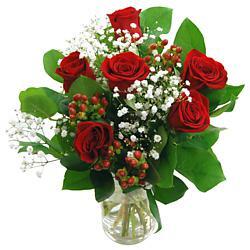 As such, a bouquet with gypsophila would also make for a great wedding or engagement congratulations gift. 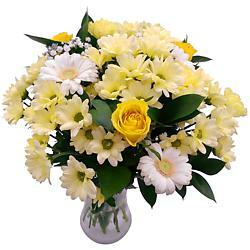 When you order gyp or Gypsophilia bouquets online from Clare Florist, you know exactly what you'll receive: the best, most loving flower arrangements, the most careful packing, and the most reliable FREE next-day delivery around. Enhance your pretty gypsophilia bouquet even more by going 'deluxe', adding a handwritten card, or even sending some chocolates or a cuddly teddy out as a special personal touch!